Happy Monday morning to you! I am excited to be releasing the first block pattern for the "Rise" quilt today. It's the simplest one- the yellow balloon in the center on the demo quilt. Since I'm sewing along too, here's my Block 1 for the scrappy version I'm making. I haven't ever kept a baby girl quilt, but I think I may have to keep this one in the end . You know- "in case I ever have a girl". I can't wait to see your balloon blocks! 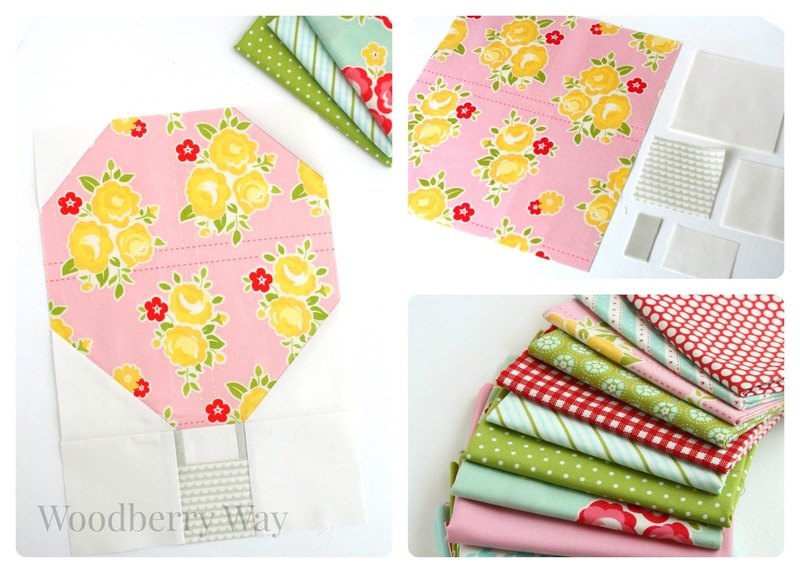 If you're just joining us, you can find details on the sew along here. Such a cute pattern and wonderful for baby or kid! I just found you on Instagram. My hubbie and I got engaged on a hot air balloon and I've always planned on making a balloon quilt! This is too cute! Can't wait to get started! That is amazing! I'm so glad! I sent you a msg on Instagram. Thank you so much!!! This is such a cute pattern for boys or girls. I just might have to make one in both color ways. Thank you so much for sharing! Oh, I am excited to see a little boy version! You are very welcome! Thanks so much! It's a great project I'm thinking I'll keep it for me. I want to use 1930's fabrics. Away we go! Thanks Judy, I have a friend on Instagram with the same plan! Can't wait to see them both. Whaaaaaatttt!? Congrats cousin! Of COURSE I will help you! Call me anytime. I consider you my neighbor in my heart :) The time will come! This is adorable. I'm having trouble with Block 1 loading. Ahh those doc files and me just don't get along in my old age. I'm sorry you're having trouble :/ I'm not sure what to tell you! I'll have a paper pattern available of the whole thing at the end if that helps.